This bust is pretty child aged 4-5 years. Beige, it will easily adapt to current trends. With its puppet side, her arms can take different positions to customize your windows up. Easy to handle, it requires little maintenance. Available in delivery, please contact us for more information about this flexible child bust. This beautiful child mannequin bust has a round wooden base but has no attachment. His arms are flexible and it is headless. 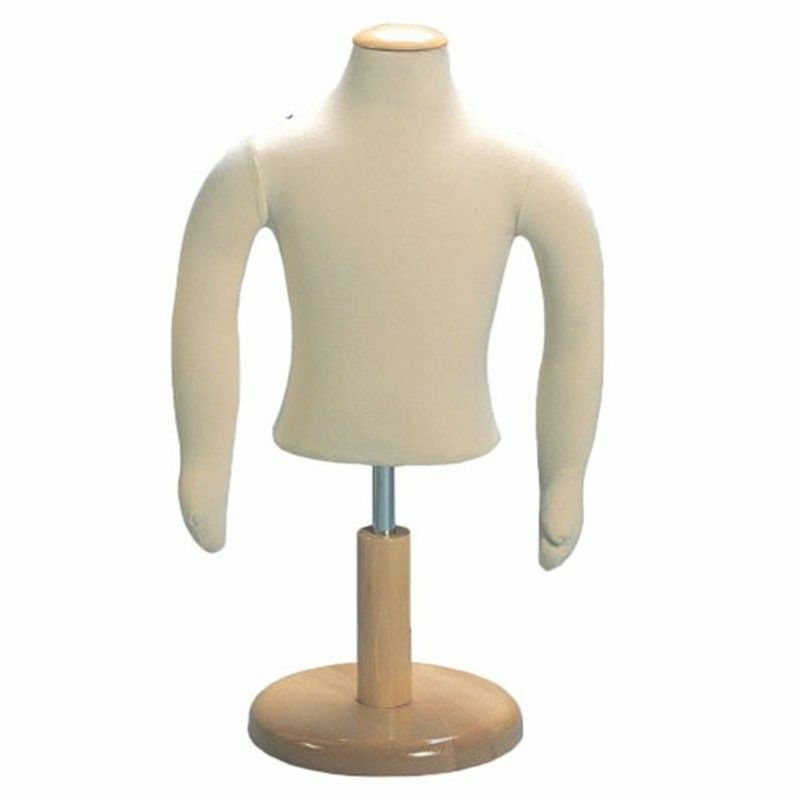 This bust dimensions are 33 cm in height, a 56 cm bust and waist circumference of 48 cm.